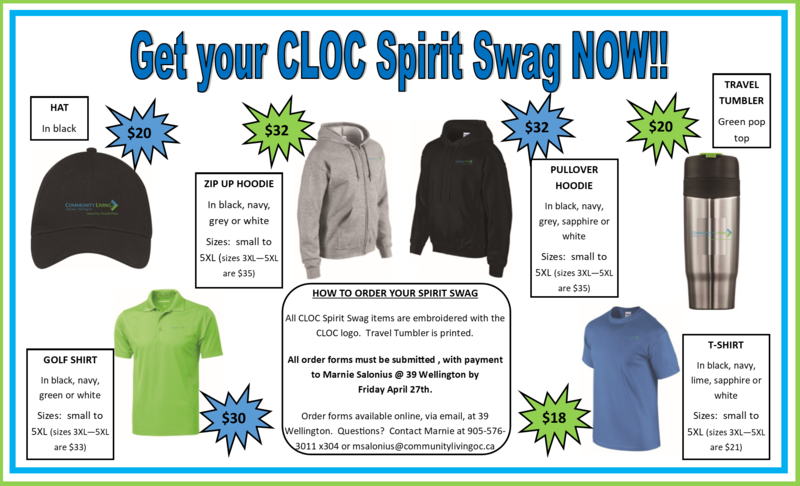 In celebration of CLOC’s 65th Anniversary, we are pleased to announce that CLOC Spirit SWAG is now available for purchase! Delivery of the items will be approximately 3 weeks after ordering. Payment for the items must be made when you submit your order, in the form of Visa, Master Card, cash or cheque. Show your support for Community Living Oshawa/Clarington, and pick up your Spirit Wear today!